We are providing software project management consultancy services. 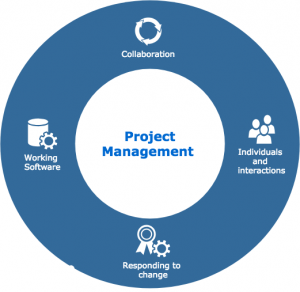 We maintain high standard project management services. Customer satisfaction is our top priority. We supporting our customer consistently by adding value for money. We deliver projects on time, within budget while maintaining high quality. Agile is our guiding principle. Collaboration and responding to change is our strength. Working software is our added value. We work together with our customers right from the very initial stage of concept. At every stage we add value by incorporating creativity, utilising best resources and thinking out of the box solutions. Building the right infrastructure to get maximum out of the developed solution is a very important part of our services. Our added value is customised and targeted training. We help you to improve your staff capabilities, as a result, they perform better. We believe in honesty, trust, transparency and collaboration. 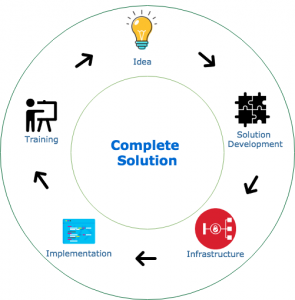 Most noteworthy, you are in control of the whole cycle while we develop a solution for you.